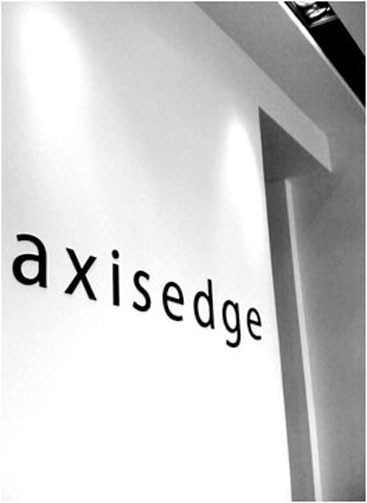 COMPANY, we at Axis Edge Interior have been involved in Interior Design Consultation for some 25 years: no doubt this means quite a long time, on which we have relied to strengthen our position in an increasingly demanding market. As competition stands out as a major player in worldwide markets, design concept being based on different factor costs, quality, history and the charms of a one-of-a-kind product are key ingredients if any challenges are to be won. We at Axis Edge Interior meant and still mean a benchmark for evolved customers, for anybody who feels at home around the world, while retaining close connections with their own origins. High quality standards and state-of-the-art interior design ideas: Axis Edge Interior, the name for an effective approach to business. DESIGN CENTER, experiences & research are means something special to Axis Edge Interior – that is, becoming aware of visual stimuli from the world and turning them into concept, ideas, perspective and layout settings. It means having a look around, carefully watching the surrounding world, perceiving any changes in the language, investigating fashion, design, publishing, travelling with a curious look. To carry out research, we at Axis Edge Interior rely on a first- rate design team who boast remarkably diversified skills. An idea means the starting point for a process to be developed in-house, in our Design Centre: in the Prototyping Department, where the idea becomes ‘bricks and mortar’ reality through technological research on both materials and working phases; in the Styling Department, where the design concept is ‘dressed’ and where our research is close to research as carried out by interior designers. PROCESS SKILLS & CONTENT EXPERTISE, BRANDING – what you want people to say about your brand, how you want them to think about it….. That’s where our brand consultants came in. INTERIOR DESIGN CONSULTANT – from the exterior to the interior, every facet must harmonise to create that ideal overall impression for your brand. As such, our interior designers mush enhance the first “ external impression; the experience communicated through a name card will be expanded in the ambience of a reception area”. DESIGN & BUILD – our design & build team delivers yet another facet of brand differentiation by injecting the desire brand personality into a concrete entity. Specializing in the corporate, retail and hospitality sector. Interior Concept Enhancements & Space Planning. Brand Identity, Signage, Environment Graphic & Marketing Material. Project Management & Construction Management Services. Phase 1 – Interior Concept Enhancements & Space Planning. Phase 2 – Interior Design Conceptual Development. Phase 3 – Working Drawing & Specifications. Phase 4 – Tender Documentation / Bills Of Quantity. Phase 5 – Project Management & Construction Management Services. Installation Works & Fit-out Works. Business Address : No. 3 & 3A, Jalan Tingkat Wing Onn, Taman Wing Onn, 30010 Ipoh, Perak Darul Ridzuan.